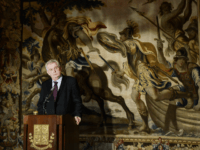 The President of the Czech Republic has suggested that Brexit is the fault of the European Union, that Britain’s referendum on leaving the bloc should not be re-run for a decade, and that the British government under Theresa May is making itself increasingly ridiculous. 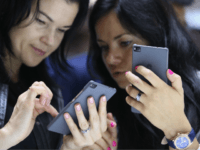 The Czech Republic’s National Office for Cybernetics and Information Security (NÚKIB) has upheld a decision in which it labelled tech giant Huawei and ZTE a security risk in relation to both their hardware and software. 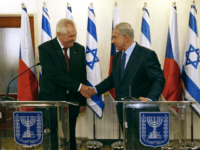 A “Czech House” in Jerusalem will open in November ahead of a full diplomatic mission representing the Czech Republic follows at a later date. 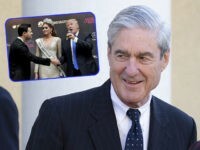 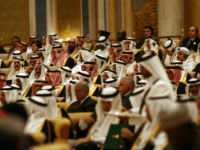 This comes after a similar move by the U.S. administration earlier this year. 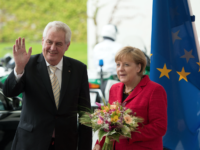 The reelection of anti-mass migration eurosceptic Miloš Zeman to the Czech presidency has caused panic in Brussels, with a referendum on the Slavic country’s EU membership possibly on the cards. 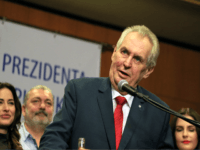 (POLITICO) — Czech President Miloš Zeman fought off a strong challenge from political novice Jiří Drahoš to win a second five-year term as head of state. 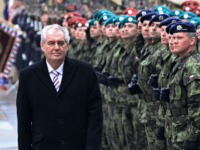 President Zeman has won the first round of the Czech presidential elections on a platform of opposition to mass migration and radical Islam, reconciliation with Russia, and unwavering support for Israel. 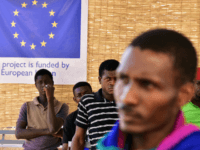 Czech President Miloš Zeman has warned the European Union (EU) that unless the bloc fortifies its external borders, up to 10 million Africans will illegally migrate to the continent in the next few years. 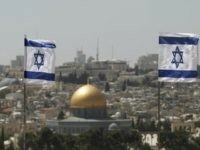 Czech President Milos Zeman on Saturday accused EU states of being “cowards” in their response to his U.S. counterpart Donald Trump recognising Jerusalem as Israel’s capital. 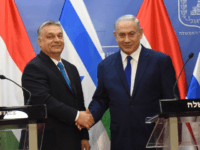 Czech president Miloš Zeman has spoken out in defence of Israel and outlined a path to peace in the Middle East that begins with the diasarmament of dedicated terrorist groups Hamas and Hezbollah. 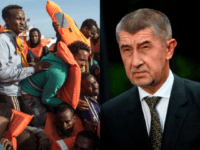 The President of the Czech Republic has urged Europe to reject illegal economic migrants, warning that mass migration to the West will only drain their homelands of talent and consign them to “permanent backwardness”. 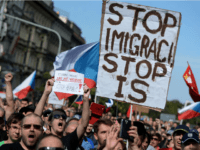 Iconic former President Vaclav Klaus has said it is wrong to force the Czech Republic to become multicultural, arguing the only way to save the country is to leave the European Union (EU). 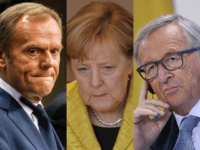 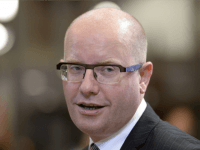 PRAGUE (AFP) – Czech Prime Minister Bohuslav Sobotka announced Tuesday he would submit his resignation — which also entails that of his cabinet — after a row with his popular billionaire finance minister, whose business activities have caused a storm. 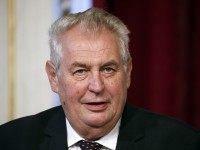 Czech President Miloš Zeman has confirmed he will run for a second term. 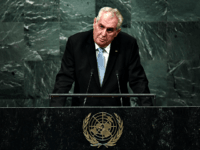 Czech president Miloš Zeman believes Muslim migrants should stay in their home countries and work, not come to Europe and claim benefits. 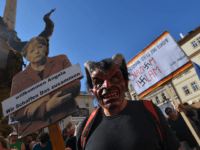 A man has allegedly attempted to “assassinate” German Chancellor Angela Merkel during a trip to the Czech Republic, which was marked by a series of anti-mass migration and anti-EU protests. 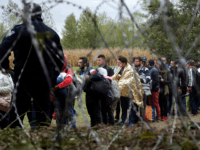 Hungary, Poland and other countries should have their funding slashed if they fail to show sufficient “solidarity” on migrant issues, or respect for “European values”, two influential MEPs have said. 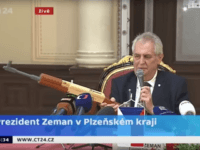 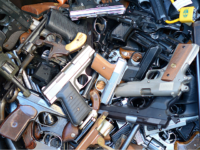 The president of the Czech Republic has said citizens need to be armed and ready to defend themselves and others in case of a terror attack.